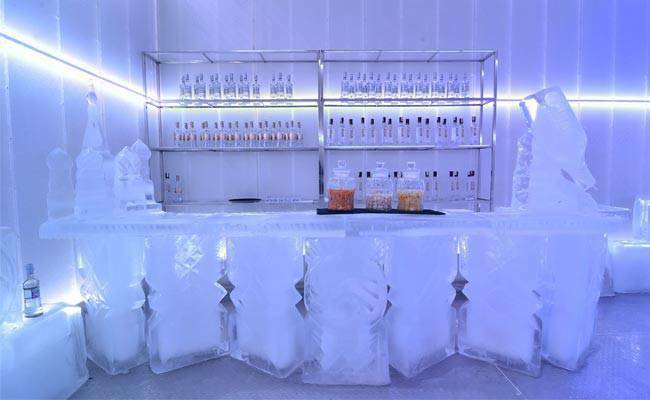 The country's very first authentic ice bar opens its doors at the Fort Strip. Brr it's cold in here! A negative zero degree environment in a tropical country like ours? Now that's what we're talking about! For many of us, a "winter wonderland" is nothing more than a line in a song, but at Imperial Ice Bar at the Fort Strip, it becomes a reality. The Russian-inspired bar is the first of its kind in the country, featuring a -5 degrees Celsius ice room with its interior made entirely out of ice. Posh coats and Ushankas (Russian hats) are provided for guests by the entrance to the ice room (trust us, you'll need them!) to keep you warm and cozy. If you feel like you're on the verge of getting frost bite, the main lounge is the perfect spot to defrost as you party the night away to the beats of Manila's top DJs. Launch the gallery to see what it looks like inside this cool new hotspot!